A Registered Patent Attorney who focuses his legal practice on IP counseling and litigation, Gale was one of the first board-certified intellectual property specialists in Florida. His partner and firm co-founder Jeffrey Feldman is an experienced litigator who has “first-chaired” patent, trade secret, trademark, copyright, false advertising, and unfair competition cases around the nation. Today, Feldman Gale has a team of more than 20 attorneys, many of whom have science, engineering and technology backgrounds. 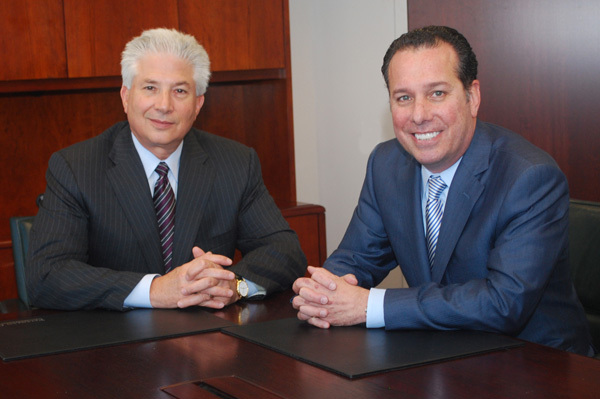 With offices in Tampa, Philadelphia and Los Angeles, the firm represents manufacturers, distributors, service companies, technology companies, individual investors and universities in virtually all industry sectors, and in all aspects of intellectual property law, including procurement, licensing, mediation, arbitration, trial and appeals. After earning his law degree, Gale worked at Broad & Cassel, Morgan Lewis & Bockius and McDermott, Will & Emery building his IP practice. Meanwhile, Feldman became an assistant state attorney and assistant U.S. attorney. As a federal prosecutor, he conducted federal grand jury investigations involving wire and mail fraud, racketeering and neutrality violations. He also investigated aspects of the Iran-Contra case during the Reagan presidency. During that time, he indicted and singularly tried many of his cases to jury verdict. To date, the two partners have handled IP cases in more than 40 states. Feldman adds that the firm is seeing an increase in plaintiff patent filings in Florida courts, particularly in the Southern and Middle Districts, as the state’s federal judges acquire expertise in this field. In the community, Gale has served on the board of directors of HANDY Inc. (Helping Abused And Neglected Youth), and was active in the American Red Cross, Jewish Federation of Greater Miami and the Italian American Club. Feldman is active with several South Florida music and art organizations, and is a trustee of the Musical Arts Association of Miami, which supports The Cleveland Orchestra’s winter residency in Miami. Both Gale and Feldman are members of the Board of Trustees of the University of Florida Law School.